Racket is a full-spectrum programming language that inherits from Lisp and Scheme but also provides dialects that support objects, types, laziness, and many other paradigms. Racket's module system allows programmers to write and link together components written in different dialects. Racket's libraries support applications from web servers to distributed computing and from databases to charts. The in-directory function constructs a sequence that walks a directory tree (starting with the current directory, by default) and generates paths in the tree. The for form binds p to each path in the sequence, and regexp-match? applies a pattern to the path. Form and function names in the code are hyperlinked to documentation, so click on them for more information. This example implements a web server using the web-server/insta language. Each time a connection is made to the server, the start function is called to get the HTML to send back to the client. Racket makes it easy to use TCP sockets and spawn threads to handle them. This program starts a server at TCP port 12345 that echos anything a client sends back to the client. Uses a hash table to record previously seen lines. You can run this program in DrRacket, but it makes more sense from the command line. The 2htdp/image library provides easy-to-use functions for constructing images, and DrRacket can display an image result as easily as it can display a number result. In this case, a sierpinski function is defined and called (at the same time) to generate a Sierpinski triangle of depth 8. To run the example, install Racket, start DrRacket, paste the example program into the top area in DrRacket, and click the Run button. This simple guesing game demonstates Racket's class-based GUI toolkit. The frame% class implements a top-level window, and button% obviously implements a button. The check function defined here produces an function that is used for the button's callback action. Add a call to let-me-google-that-for-you to get a list of search results. Playing a game but no dice on hand? Let Racket roll for you. The command-line form makes sure that the right number of arguments are provided and automatically implements the --help switch. This example is a command-line script. To run the example, install Racket, paste the example program into a file, and run racket on the file with command-line arguments after the filename. Alternatively, for a Unix installation, you can add #!/usr/bin/env racket at the top and make the file executable, and then you can run the file directly. You can also spell #\α as #\u3B1 to stay within ASCII. Fortunately, Racket and DrRacket are both perfectly happy to use Unicode characters, and DrRacket comes with shortcuts for inserting them. Racket's mission includes education at all levels. This program uses the htdp/bsl teaching language, the 2htdp/image library for creating pictures in the teaching languages, and the 2htdp/universe library for interactive animations. And now for something completely different. The lazy language is more like Haskell than Lisp, so feel free to build an infinite list and look at only part of it. Racket's type system is designed to let you add types after you've worked for a while in untyped mode — even if your untyped program wouldn't fit nicely in a conventional type system. This program uses the scribble/base language for generating documents using a prose-friendly syntax. To run the example, install Racket, start DrRacket, and paste the example program into the top area in DrRacket. When a program in a Scribble language is opened in DrRacket, a Scribble HTML button appears for rendering the document to HTML. Click it. This program uses the plot library to draw plots of functions. Note that the plots are actual value, which DrRacket shows in graphical form. (getenv "EMAIL") "Parking meter alert!" Racket comes with plenty of libraries. Using the FFI means that you're not limited to using Racket libraries: pulling out a foreign function is easy, and can even be done dynamically on the REPL. Racket is useful for building other languages. This example uses the pre-packaged Racket implementation of Datalog, a logic programming language. If you use this from DrRacket, you'll see that it provides proper highlighting, Check Syntax, and a Datalog-specific REPL. Racket version 6.0 has been released. RacketCon 2014 will be in September in St Louis. Draw more pictures or build a web server from scratch. Racket includes both batteries and a programming environment, so get started! Racket's interactive mode encourages experimentation, and quick scripts easily compose into larger systems. Small scripts and large systems both benefit from native-code JIT compilation When a system gets too big to keep in your head, you can add static types. More: Systems Programming with Racket dives much deeper and much faster, showing how to build a complete continuation-based web server. Guide: Racket starts with a tutorial on Racket basics, and then it describes the rest of the Racket language. Reference: Racket provides comprehensive coverage of all of Racket. Continue: Web Applications in Racket describes how to use the Racket web server to build dynamic web applications. 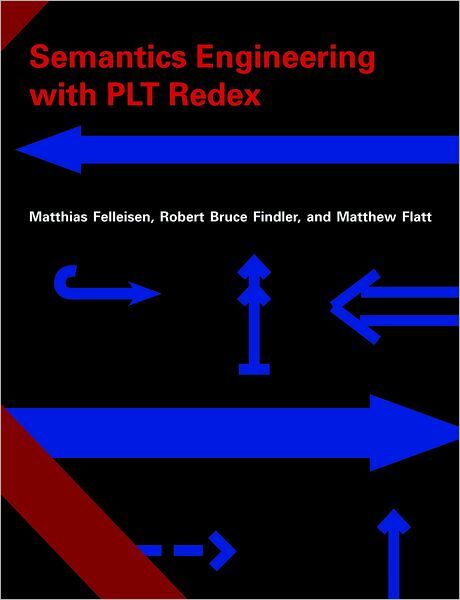 Package Management: Racket explains how to install packages, and how to build and distribute your own. RacketCon — The annual Racket meeting, coming up in September. Previously 2013, 2012, and 2011. Twitter — Short bits of Racket news. Mailing lists — Discussion lists for using and developing Racket. IRC — Chat in the #racket channel on freenode.net — An informal discussion channel for all things related to Racket. Browse the logs. Research — Publications and educational resources. Code — The Racket source code on GitHub. Wiki — Useful pages include Intro Projects and Videos, including tutorials, interviews, and more. Snapshot builds — The freshest versions of Racket. Bug reports — File, query, and maybe fix existing reports. A principled approach to program design. Teaching language support is included with DrRacket. Aimed at the programming novice. 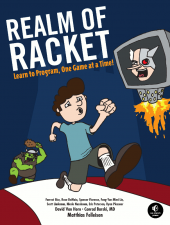 Learn Racket and programming, one game at a time. Sample game code comes with the Racket distribution. For those just starting out with Racket. 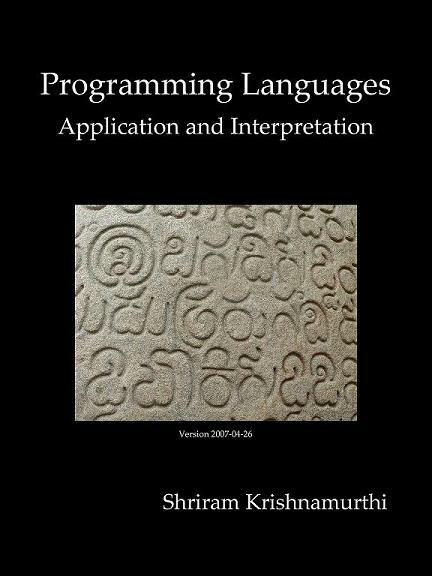 Understand the features that make languages tick. For undergraduates, graduate students, and experts. Model your own programming language semantics. For the working language engineer.